This summer thousands of music lovers will head to The Boathouse on the Intracoastal Waterway for Sunday Funday. 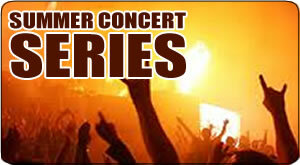 The Boathouse Free Summer Concert Series brings some of the hottest bands to Myrtle Beach. The Boathouse hosts free concerts every Sunday all summer long! The biggest backyard party on the Grand Strand, The Boathouse Concert Series attracts visitors and locals alike. The shows start every Sunday afternoon at 5 pm. There's no cover charge and all ages are welcome to attend (until 8pm when they become 21+). Gather your friends and come join us in our backyard for an evening filled with great music and fun. The Boathouse also offers live concerts on a selection of Friday Nights throughout the year. A few bands already scheduled for 2019 include Outshyne, Trey Calloway, Shawn Bilton Band, Tyler Hammond and Ryan Trotti. On select days and/or nights at The Boathouse, you'll find more special events and deals like Team Trivia and 2fers. Visit landingmb.com for more info.